Bed Bath and Beyond Inc., is an American chain of merchandise retail stores with branches in the United States, Canada, Puerto Rico and Mexico. Their stores fly under the banner, “Beyond any store of its kind” and offer quality furnishings for any and every room in your homes. In 1971, Warren Eisenberg and Leonard Feinstein established their first store in Springfield, New Jersey. Back then, it was called Bed n’ Bath. From then on, the store has expanded to 17 stores in New York and California by 1985. In the same year, they opened their very first superstore and with it rebranded the company to the now known Bed Bath and Beyond brand. From the first superstore, they have now grown to over 2,000 locations worldwide with over 50,000 employees under their belt. Throughout their over 40 years of existence, they have acquired more subsidies and further expanded their brand offerings. Eligible full-time employees get comprehensive health plan with prescription and vision coverage, dental and dependent care spending account. It also includes life insurance, paid time off, holidays and 401(k) retirement plan with a company match program. Associates also get discounts at any Bed Bath and Beyond stores and its affiliates. Aside from the generous pay and comprehensive benefits, employees with Bed Bath and Beyond remain loyal because of the extensive training and coaching support they provide, the empowerment to allow employees not only do their jobs but take part in the company’s growth and their commitment to employee development. One must be 18 years old and above to be eligible for employment with Bed Bath and Beyond. As a growing home furnishing retail chain, Bed Bath and Beyond offer a wide selection of career opportunities at their retail stores and warehouses. Listed below are some of the open entry-level and supervisory posts they have. Customer Service Associate: A customer service associate is one of the store’s front-line staff responsible for handling all customer concerns and inquiries. They assist customers with merchandise inquiries, assist in monitoring inventory and keep the store well-maintained and organized. A high school diploma or equivalent is required for this post. Cashiers: Cashiers are responsible for maintaining outstanding customer service following the company standards, the efficient and accurate processing of all sales transactions by receiving payment by cash, check, credit cards or vouchers. Cashiers are also required to compile and maintain non-monetary reports and records. Stock Associate: Stock associates contribute to store performance through effective communication between the shop’s floor team and the store’s back of the house. They ensure that stocks are well-maintained, replenished as per agreed plans and ensure compliance with company quality standards at the back of the house. Janitorial Associate: Janitorial Associates are responsible for keeping the store clean and orderly. They keep the facilities appealing by sanitizing the floor area, restrooms and any other common areas. They ensure the proper disposal of waste and conducts regular checks to ensure cleanliness is maintained. Retail Department Supervisor: The department supervisor, in collaboration with the store manager and assistant managers, oversees overall store performance including supervising associates, monitoring inventory, ensuring store cleanliness and other administrative duties. Previous supervisory experience is required for this post. Customer Service Trainer: A customer service trainer collaborates with the store’s management team to train associates on basic product knowledge, enhance customer service skills and develop selling skills. Together, they work out training strategies to promote excellent service and initiate programs to increase sales and profit. Receiving Associate: Receiving associates play a major role in successfully managing the merchandise flow from the stockroom to the stores. Associates oversee receiving, processing and pricing of incoming freight and convey shipments from the shipping/receiving platform. They process merchandise received, store, transfers and maintain stocks. Warehouse Associate: A warehouse associate assists in the efficient packing, gift-wrapping and shipping of customer orders. They review orders for exceptions and handles these appropriately to avoid rework. This position requires applicants to be able to work in shifting schedules and perform any other task deemed by the warehouse manager. PIT Operator: A PIT Operator efficiently performs pallet put away in both active and reserve location. They ensure that all cases, boxes, and racks are kept clean, safe and in good condition. They assist maintain inventory accuracy, move merchandise to and from locations and loads and unloads supplies and equipment. Previous similar work experience is preferred. Receiving Lead: The receiving lead oversees all aspects of receiving. They oversee all receiving staff and ensures the efficient flow of daily operations. At least 2 to 3 years of experience with high volume operations, all areas of warehousing and handling a supervisory role is required. 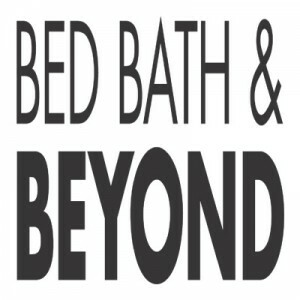 If you’re looking to be a part of the Bed Bath and Beyond family, there are a number of channels available to do so. Applicants can apply through the company website and explore the Careers page or go through a regular walk-in application. Most recruiters recommend the first option. Applying online allows applicants to be better prepared for potential upcoming interviews. But if you choose to do a store drop in, make sure that you’re appropriately dressed, look for the manager and confidently introduce yourself. Have your resume ready for any information they may need. To apply online, applicants can check out the Careers page in the Bed Bath and Beyond website. The Careers page will list all open positions in all Bed Bath and Beyond stores and warehouses in the US. Each job posting will have a detailed job scope, list of basic responsibilities and eligibility requirements. All applicants are automatically enrolled in the company’s Talent Network once they applied. This leads to a registration form that requires you to enter basic personal information, employment history and schedule availability preference. The Talent Network gives applicants employment updates and newly opened job opportunities. Entry level applicants should include previous retail or customer service related experience in their forms. For supervisory roles, applicants should highlight successes and any other initiatives that helped improve the store’s performance in their forms and interviews as well. Because of this commitment to excellence, Bed Bath and Beyond were included in Forbes Global 2000 and Fortune 500 lists. These are lists of the biggest and most powerful companies as measured by a composite ranking for sales, profits, assets and market value. Beyond financial gains, the company is also centered in offering environmentally conscious products and services. Stores continue to offer products made from sustainable, recycled, repurposed and organic materials. They continue to endorse products with energy-saving qualities. For over a decade, Bed Bath and Beyond have built a strong partnership with Good360, a non-profit organization based in Alexandria, Virginia in providing help to those in need. Every week stores donate merchandise to different local charities across the United States, Canada and Puerto Rico. They were awarded the Light of Word Award for their work in this program.